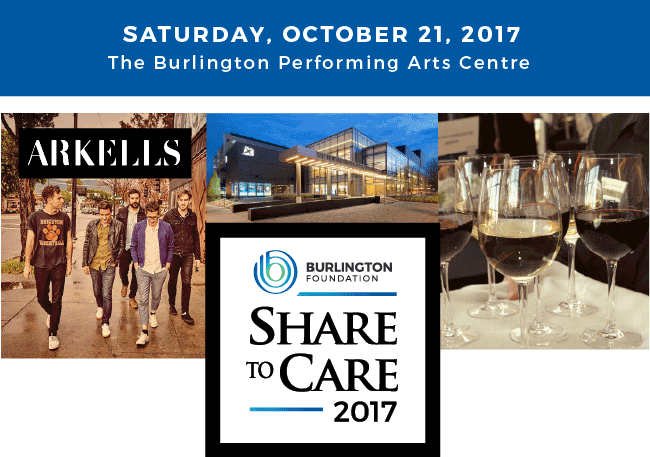 As our much anticipated celebration of giving, October 21, 2017 was a great night to meet and mingle with friends, family and colleagues to thank our partners and sponsors, while coming together to support Burlington Foundation. At our evening of celebration, community came together to honour our 2017 Distinguished Philanthropist, Dr. Wally Pieczonka as he was presented his award by Presenting Sponsor Great West Life, London Life and Canada Life’s Todd Cloutier and Burlington Foundation President and CEO, Colleen Mulholland. The beautiful glass award presented to our very deserving honouree was custom designed by artist Mark Armstrong of Armstrong Glassworks. And as another highlight of the night, guests experienced the incredible upbeat vibe and love for community from the multi JUNO award winning ARKELLS. They made the night shine with their legendary Motown review, biggest hits and inclusive community spirit for all ages.